Meeting people and walking around neighbourhoods: Currently meeting people in the run-up to the European Elections on 22nd May. Been on co-ordination exercise with the Police where officers from a range of functions discussed solving problems in The Meadows with a range of officers from the City Council; intriguing insight to new powers available to our officers over high multiple occupancy properties. Planning for the future: best guess is that trams will be testing on Queens Walk in July, and down Meadows Way West six weeks later. Then need to explore changes in on-street parking behaviour. 838 matters have been logged for chasing (drawing from conversations, comments at meetings, phone calls, letters, e-mails, Facebook, Twitter and public comment) since October 20th, 2011. 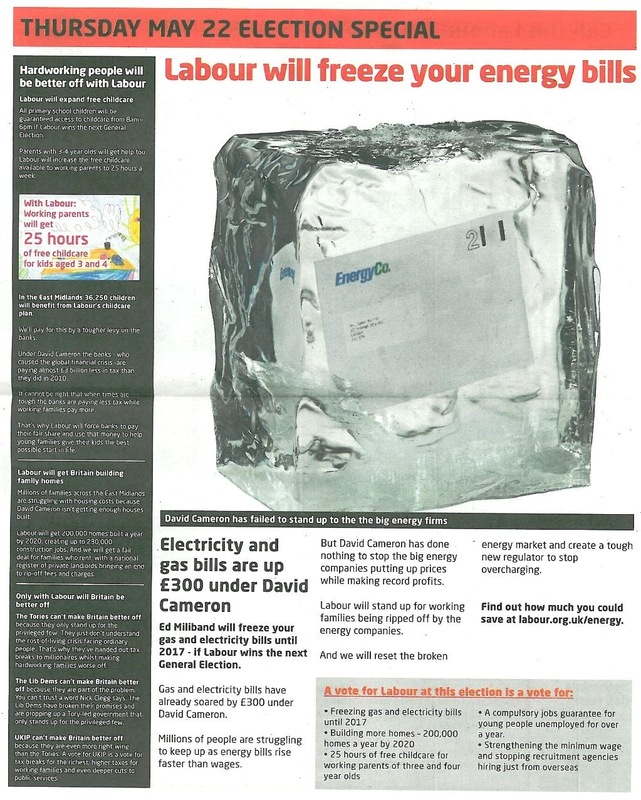 Fuller Monthly report available at http://www.labourblogs.com/public-blog/michaeledwards/31376/ . 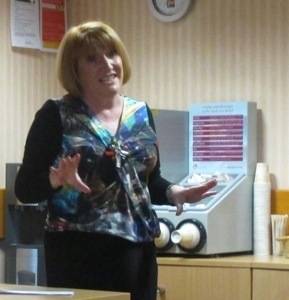 Campaigning session at the GMB, addressed by Labour’s Euro leader Glenis Willmott. Discussed agin, the factories established in Britain that may be lost if Britain was outside the EU and having to pay tariffs to be part of the European market. Staff from Notts Police service and the City Council working on community safety for The Meadows came together to see typical issues, share knowledge on what powers are available and check which powers and services are being used. New powers for ensuring higher levels of responsibility from landlords of high and multi-occupancy properties have just come into play. The challenge is the landlords who want the income but not the responsibility. Examples of the problems of such an approach for the public have occurred within the Old Meadows within the last few months. A persistent theme of community safety is if there are blights on a neighbourhood that aren’t tackled, then others don’t feel as committed to the neighbourhood. These “broken windows” need to be dealt with. Whilst on Holgate Road, a Police suspect was being apprehended, leading to quite a spectacle with the volumes of uniforms on the street. Just one of those co-incidences. Signs are up advertising new powers on tackling street drinking. Mid-afternoon, and the buses are in a deadlock that makes no sense. Then from the top of a double-decker, you see someone wandering through the jammed buses; then the blockage is revealed – a van, with its hazard lights on. 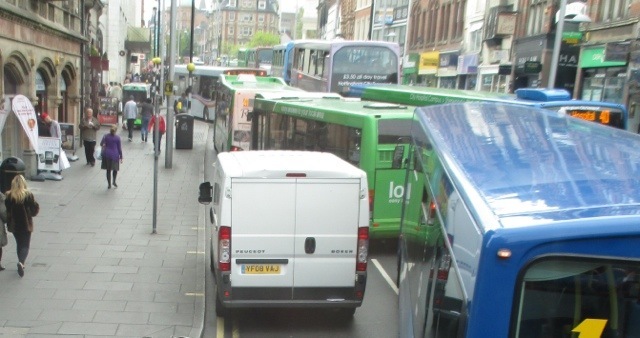 And eastbound buses have had to manoeuvre in tight space to give westbound buses the chance to pass so as to relieve a deadlock. 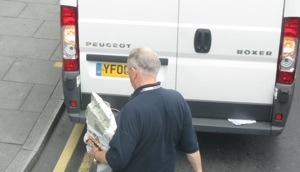 Inconvenience for hundreds, triggered in next to no time at all, and it seems merely for some office equipment to be picked up. Meadows Advice Group’s end of year figures showing them helping to find people in need over an extra £1 million in annualised social security, way up on previous figures. In the previous year we had opened 1011 matters. The amount of benefits gained is up by £470,842 at this stage last year, showing the value of the work we do and probably the impact of benefit changes and new harsher regimes at Department for Work and Pensions. The amount of debt dealt with is up by £78131 on the same time last year again showing the impact of the recession and benefit changes. 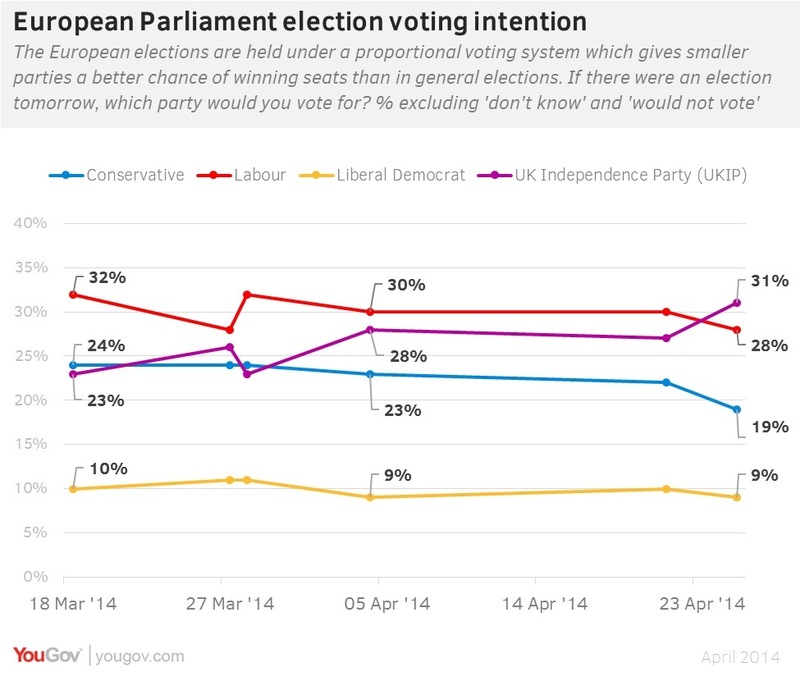 Latest poll of voting intentions puts the Conservatives a clear third. The Libs Dems even further behind in fourth – indeed the Lib Dems have been warned that their vote in the East Midlands might only be a tenth of what they achieved 5 five years ago. The suggestion that they may get no MEPs at all could easily have been leaked to enable the ‘we did better than expected’ tactic cos it will have to be truly awful to get no seats in the south-east. – having to accept EU trade on their terms, leading for example to Norwegians lobbying British MEPs to get proposals changed. 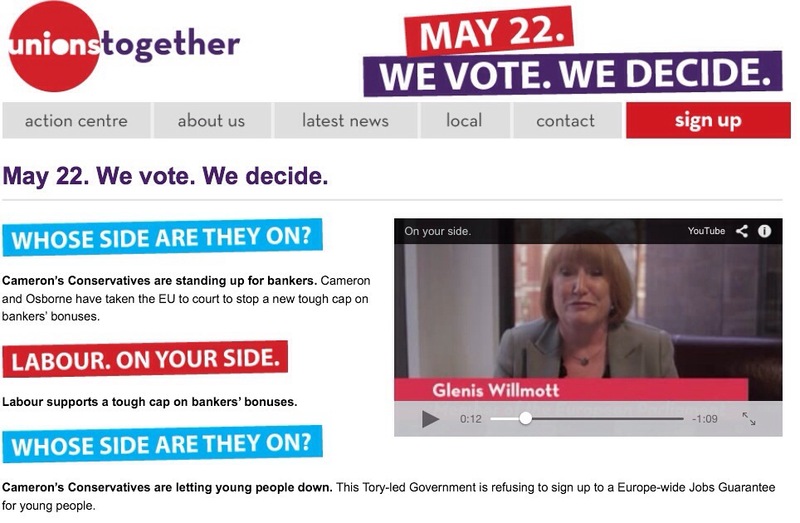 It’s not that Britain can’t go it alone; we could and we have done so. It’s just better to be in. Mainstream opinion is that UKIP are polling high because the European election can be seen as an opportunity to cast a protest. But a protest against what? 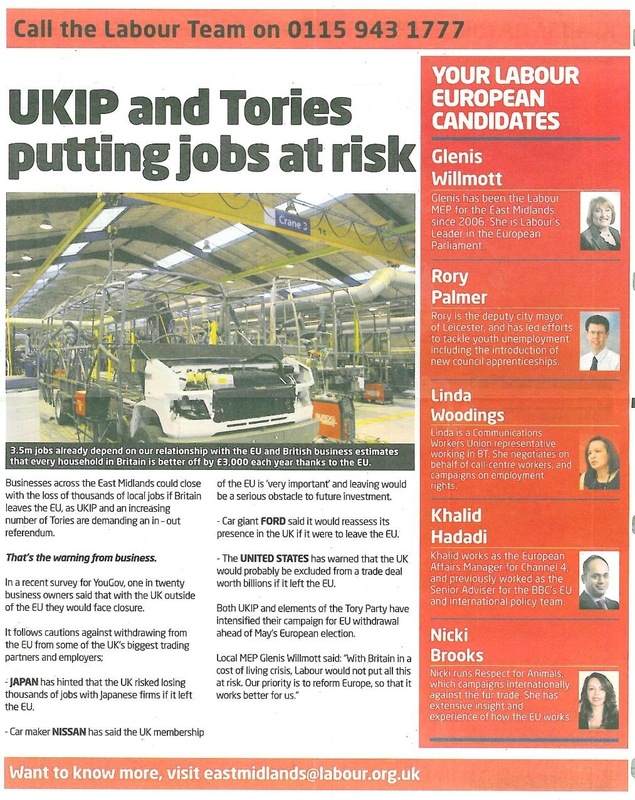 – Elected representatives not doing the job; well the poorest attendance rates has been by the UKIP MEPs. – Elected representatives shouldn’t employ family; the UKIP leader employs his wife as a secretary and says no-one else can do the job. – Immigrants are taking British jobs; but the UKIP leader employs a German; and the latest UKIP poster making the point uses an Irish actor. Maybe this level of politics is too trite, too petty, too personal. – zero-hours contracts, that are no basis for living a life and making a future – they should be banned. There are better things to protest about. We need a change of government. 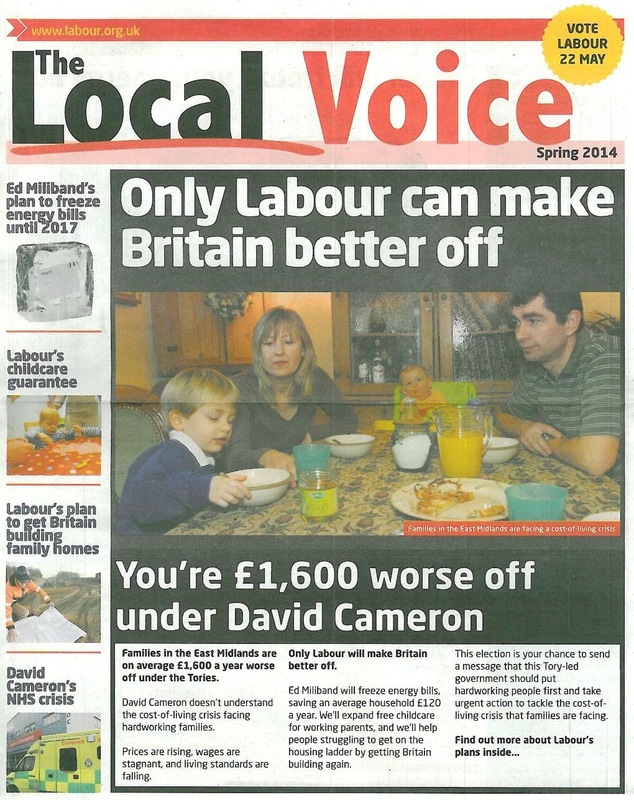 Select page graphics to see Labour’s East Midlands newspaper. 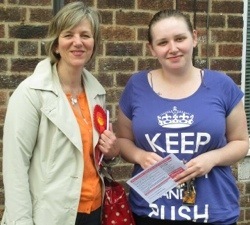 Campaigning with Lilian Greenwood MP in Radford; and getting some unusual advice. 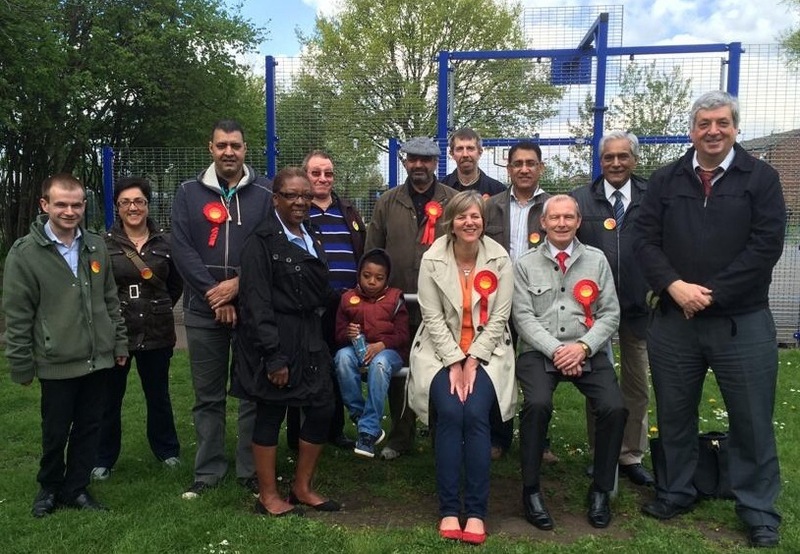 Also with Leen Valley ward Councillors Glyn Jenkins and Mohammed Saghir, meeting people on Kennington Road home zone. 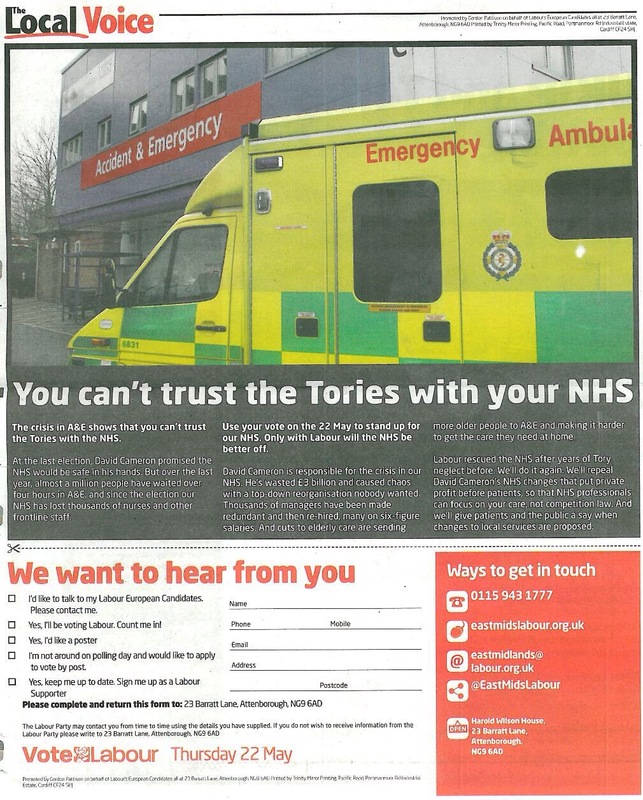 Some issues picked up including at least two instances of personal chaos wrought by bedroom tax.